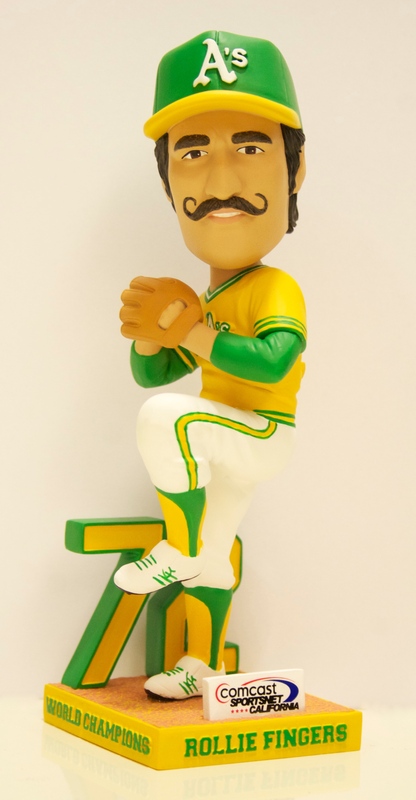 Get Your Fingers on Rollie’s Bobblehead! 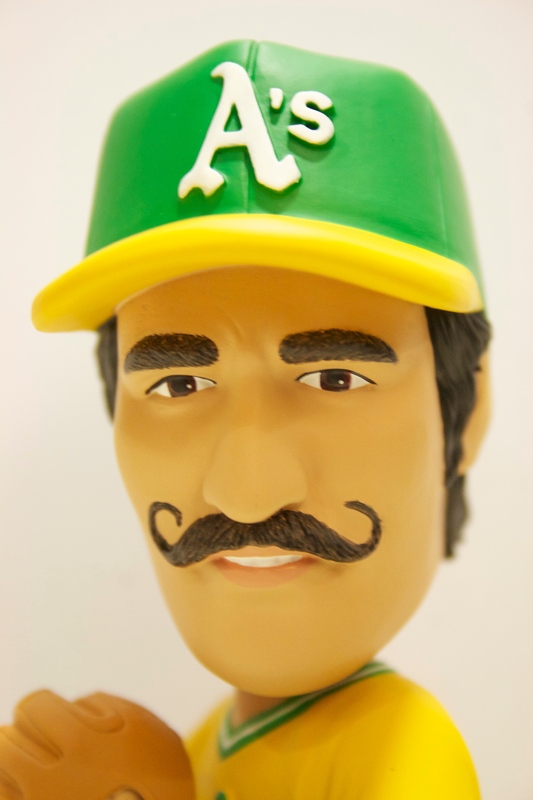 We got a sneak peek of one of the prime giveaways of the 2012 season: the Rollie Fingers bobblehead. Saturday, April 21st will be a memorable day not just because of the giveaway but because we’re honoring the 40th anniversary of the 1972 World Series Oakland A’s team. Mark your calendars for the April 21st game at 6:05PM vs. Cleveland and keep an eye out for more details on the reunion. 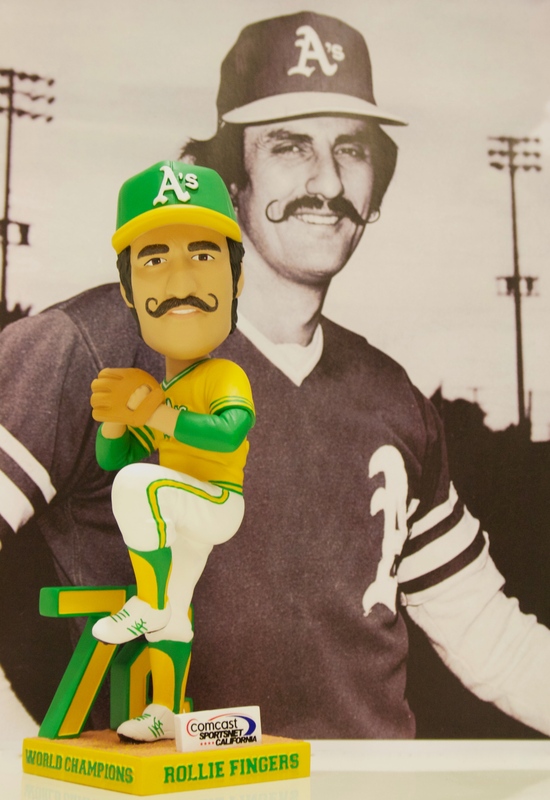 In the meantime, enjoy these photos of the Rollie bobblehead!